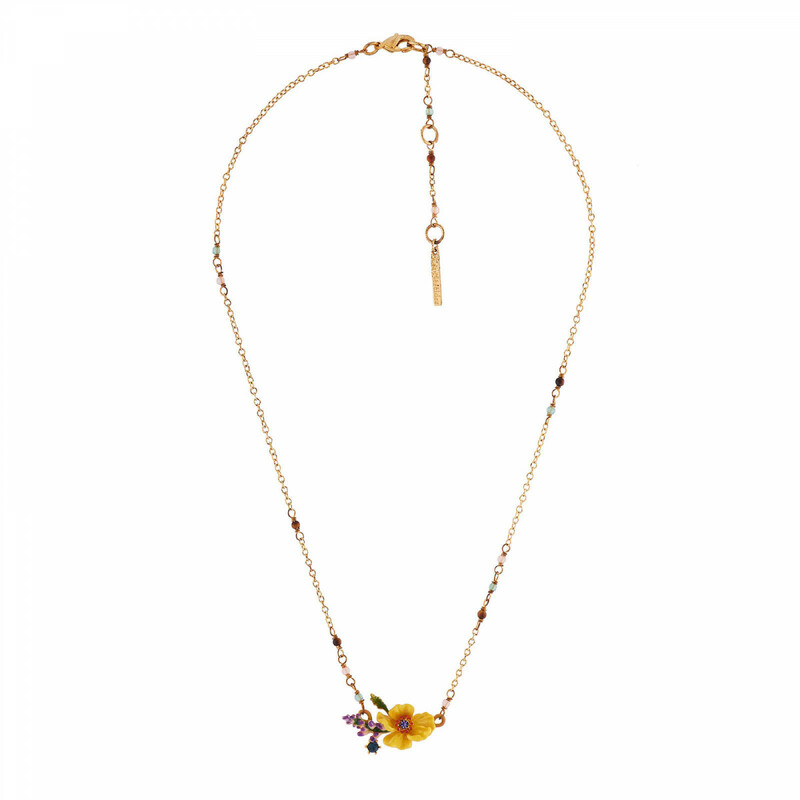 Discover our yellow flower, branch of purple flowers and rhinestones necklace! 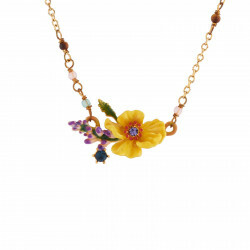 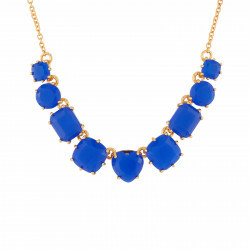 This necklace is made up in a 14kt gold plated, hand enameled brass. 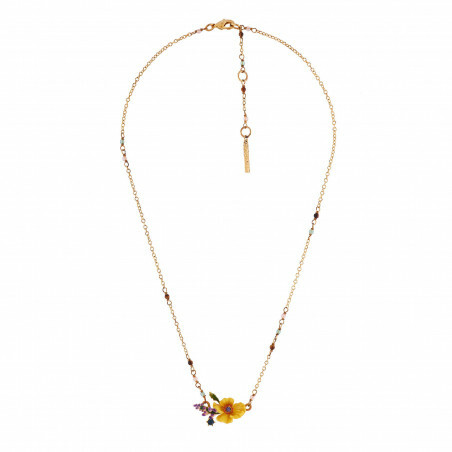 This piece of jewellery for woman is delicatly adorned with hand faceted glass The chain of this necklace for woman is made up of 14kt gold plated brass and is adorned with fantasy beads. 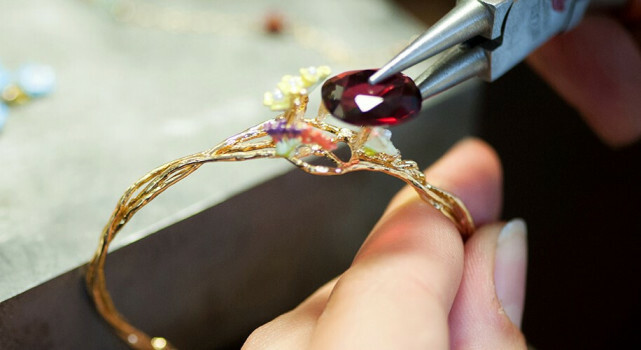 A pure and unique creation made by Les Néréides - Paris.